Subprime Lenders | Sub Prime Auto Leads - Car Sales Leads - Special Finance Car Loan Leads by CyberLead, Inc.
Cyberlead can get you the best auto leads, which help you bring more customers into your dealership. That is only one piece of the puzzle though. 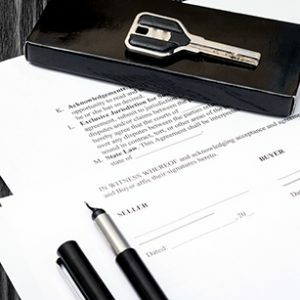 To get the deal done, you need to have the inventory, sales staff, and lenders on hand. Inventory: Subprime customers are usually looking for used vehicles under $10,000. Having a large lower priced inventory is key to getting customers from the phone to your dealership. Lenders: You have to be able to finance subprime customers. Scroll to the bottom of the page to see a link for a list of lenders. Sales Staff: Having a sales staff that can call the auto leads and pitch them properly is more important than inventory or lenders. The sales staff has to understand that subprime customers are not going to have perfect credit, and there is more work that goes into making a sale. They have to be able to inform the customer of steps they can take, or things that they need, in order to get an auto loan when their credit score just isn’t enough. If you have all three pieces above, the next step to taking your subprime finance sales to the next level is Cyberlead’s subprime auto leads. Our exclusive sales leads will deliver you customers who are looking for a dealership within a specified radius of your dealership. If you are still looking for lenders for your dealership, SubPrimeNews has put together an excellent list of lenders that cater to the subprime market.